Did you know Peter Parker likes dome purses? Well, at least he'll like this one! 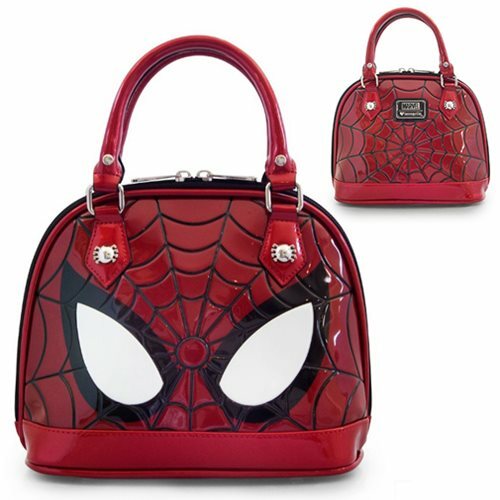 The lined, patent Spider-Man Eyes Mini Dome Purse features printed and embroidered details, double-zipper closure, an inside zippered compartment, and a handle. It measures approximately 9 1/2-inches wide x 8-inches tall x 5-inches long and has Spidey's eyes on the front and a web design on the back! Ages 13 and up.